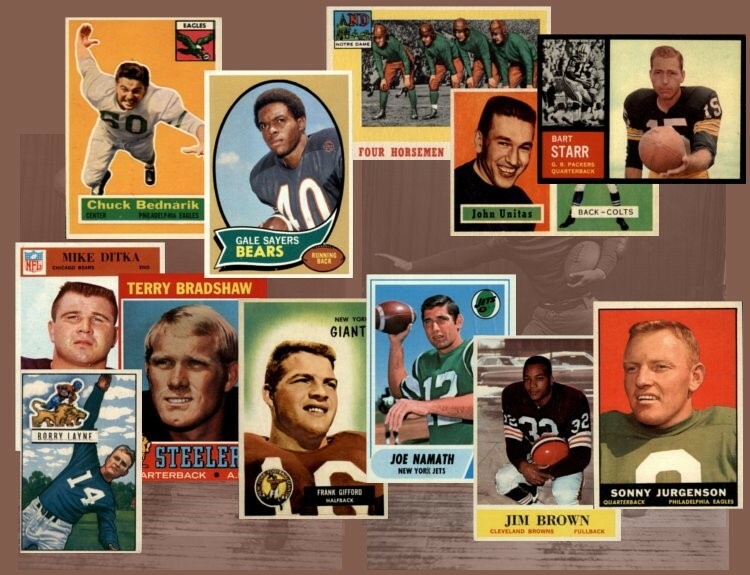 The 1975 Fleer Football Hall of Fame set is slightly larger than this set from the previous year, and features 84 cards measuring 2 1/2" by 4". Another key difference in this set is that the black and white photos of the front of the cards are featured with brown borders, instead of the white borders from the previous year. CLICK HERE if you want to sell your 1975 Fleer Hall of Fame Football Cards.